I am in love with this pattern – officially! 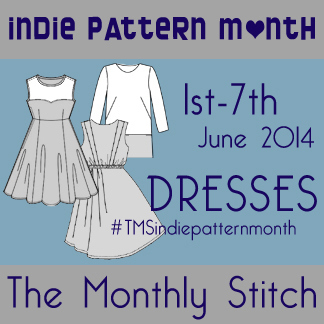 The submissions for Sewing Indie Month for May ended on the 4th June, and only 1 Snowball had been submitted, my Summer Butterfly one. I’m really surprised, this is a great pattern. If you’d thought about it & then decided not to buy it, let me change your mind again. The zip in the centre back seam goes in effortlessly using Yuki’s instructions. The neckline and armholes are faced all in one & sewn together rather like the way you’d construct a waistcoat, so there are no loose ends and floppy bits. 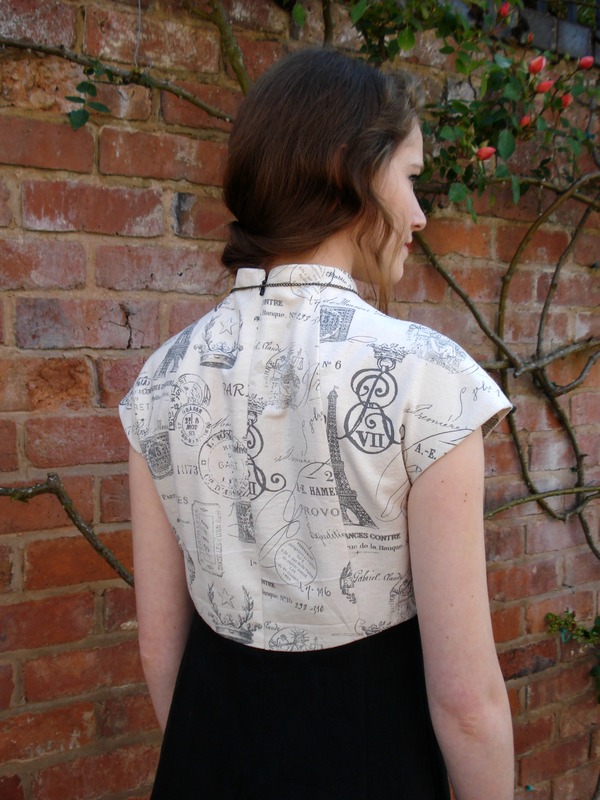 This adds structure to the top of the bodice, all of which helps to hold that fabulous shape. As a dress to wear in the office in a lightweight wool, or out to dinner in something glamourous, the Snowball is a great choice. It has just enough 60s flare to be a bit retro-chic & plenty of modern styling to make it thoroughly contemporary. Have I done enough yet? Are you tempted? 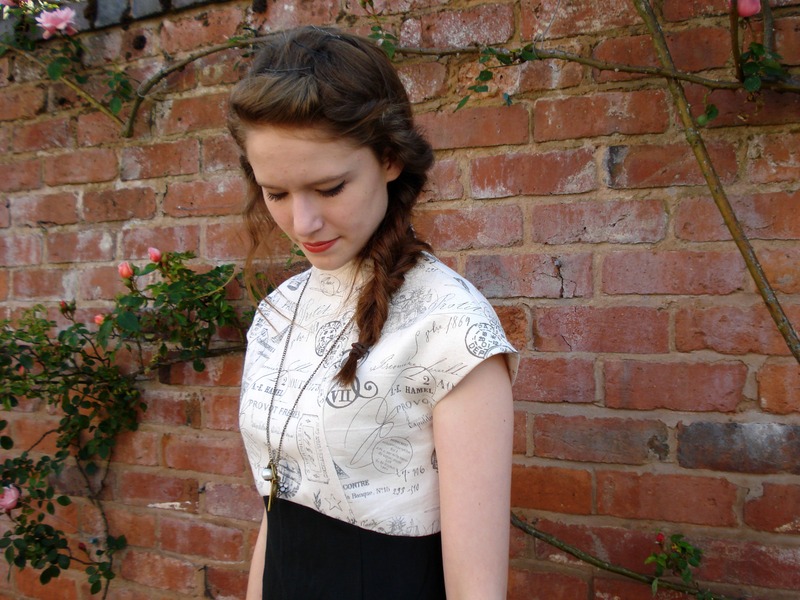 This version used the remnants of the printed cotton canvas I used for Le Bellatrix Blazer français. There really wasn’t much left, and I struggled to get all the bodice pieces and the facings out. Unfortunately I just couldn’t get great pattern placement with the Eiffel Tower, so this bodice has lots of lables and crowns instead! The cotton canvas is definitely not as structured as the cotton twill used for the Summer Snowball. It’s softer and moves better, but is still perfectly suited to keeping the shape of the bodice. The facings were interfaced with a fine sheer polyester fusible from Gill Arnold, no so heavyweight intervention there either. The skirt used a slightly charcoal-black linen from my stash. I thought it would work better with the print, not being heavily black. It was a little lightweight, however and let too much light in! So I lined the skirt with some black cotton lawn, also from the stash. The hem is bound with black bias binding & I hand stitched it in place using herringbone stitch. The lining’s hem was double turned & machine stitched. I also overlocked everything. No bound skirt seams this time! Whilst I do love that finish, it takes an awfully long time and lots of time was something I did not have this week. I added the same 3cm to the bottom of the skirt as I had done for the Summer Snowball, cutting the lining the normal length so it didn’t stick out. After completing the Summer Snowball & seeing it on Daughter No2 properly, I decided I probably should have made it a little smaller in the waist area. So with this version I switched to the 34 from about mid-way down the bodice and continuing into the skirt. As you can see, it now has a much more fitting shape, one Daughter No2 prefers. I guess that means I’ll be taking Summer Snowball apart a little so it can be taken in. It will be worth it though. She goes back to school next week for about a month now that her exams from Lower 6th are finished and she definitely wants to show off her new dresses! Nice to see this pattern made up! It is on my sewing list so hopefully to the top of the cue soon. Love the shapes on this pattern – slightly sculptural in a heavy woven. It actually doesn’t need that heavy a fabric, the linen I used for this skirt is not a sturdy one at all. You’ve convinced me, it’s a lovely dress, love the combination of fabrics too. great dress! I also LOVE the summer butterfly version – the high neck reminds me a little of cheongsams. The style suits Daughter #2 very well! Yup, it’s right up her street!! Thank you so much! 🙂 I’m glad I won you over.. Whooop!! 😀 Now I’m waiting to see yours! I’m about to embark on mine this week, what would you say about bringing the neckline a bit lower, so it’s not quite so high necked? I worry that it’ll crowd up to my chin. I’ll toile up the bodice & see how it looks, just wondered what your thoughts might be on this adjustment. Well done on winning too! I love your makes; stylish shapes, great fabrics & attention to detail are where it’s at & you do this really well. I’m pleased I came across your blog, great inspiration to me, thank you! I’d toile it first, definitely, then you can lower it if you need to. If it’s just a little you should be able to just shave it off, but I’d think if it was going to be more than 1cm you’d need to change the way the curve hits the shoulder line. Otherwise the neckline will be wider. Your girls are so beautiful. And the dress is wonderful. I’ve voted! Good luck. 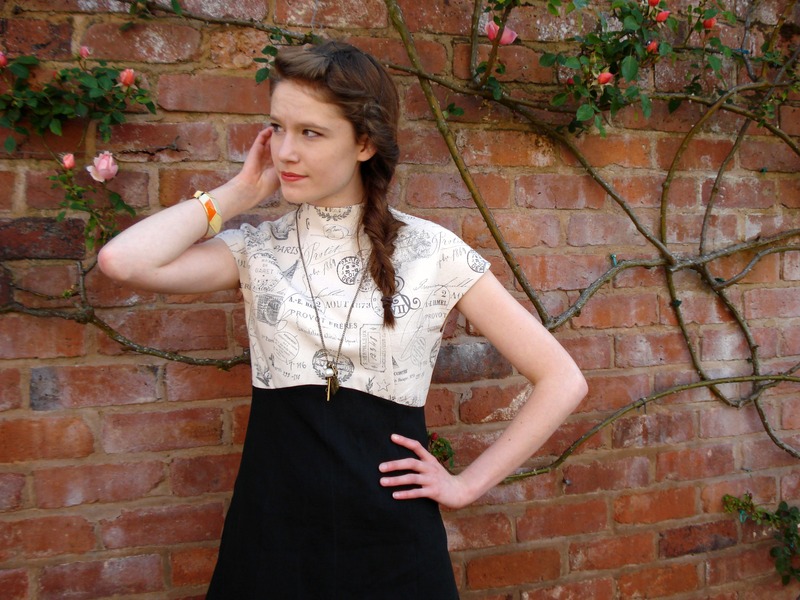 I love this dress – I’ve just made something similar with a Marfy pattern and love the lines. The waffle patterns I am in love with, not that I need to add any more patterns to my list of wants, but this dress and the shawl collar jacket and the short duffle jacket are fabulous. That shawl collar jacket is next on my list to buy! I’m glad we’ve had all this focus on the indies, I’ve discovered lots of interesting stuff to make! You have me sold! This is beautifully elegant and your daughter is a perfect model. Lovely job. Now you’ve gone and done it. Both this and the butterfly version are so very beautiful. I’ve bought the pattern. It might take me a while to make it up, but I’ll let you know when I do. The instructions look fantastic, especially for instruction-needy me! Excellent!!!!!!!!!! You’ll look fab in this dress! I just found your blog and immediatly fall in love with this beautiful dress !!! It`s so lovely – just everything !!! I`m happy, I found you and waffle patterns – really a great discovery !!! So, I`ll buy the pattern because I`m still thinking about a dress like this. I wonder – can you tell me what the ease is like on this dress? I fall between two sizes as I’m a classic pear, and the flare makes me feel like I don’t need to grade out – what is your opinion?